Why do I use CBD? Portland is a pretty rad place. And a small place. Two years ago, I had the pleasure of meeting Lisa Chulich in a friend’s kitchen. 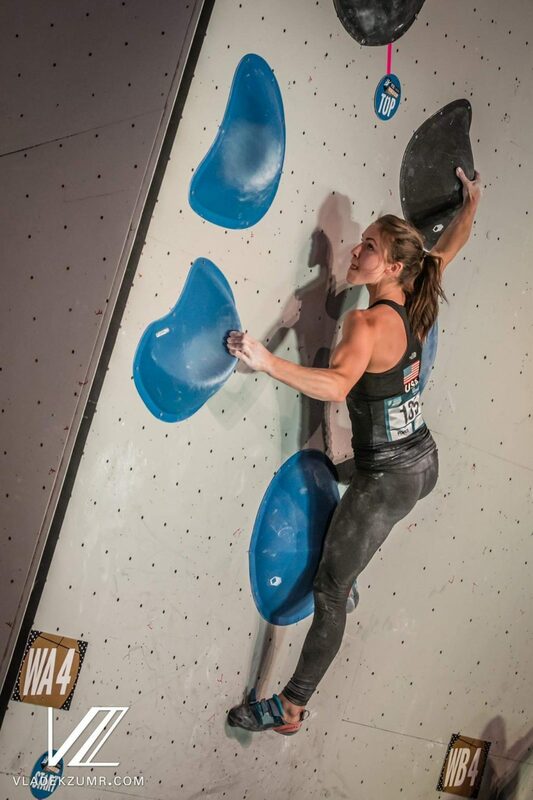 Lisa is a member of the USA rock climbing team, as well as a competetive beach volleyball player, surfer, fitness model, and all around health and wellness buff. 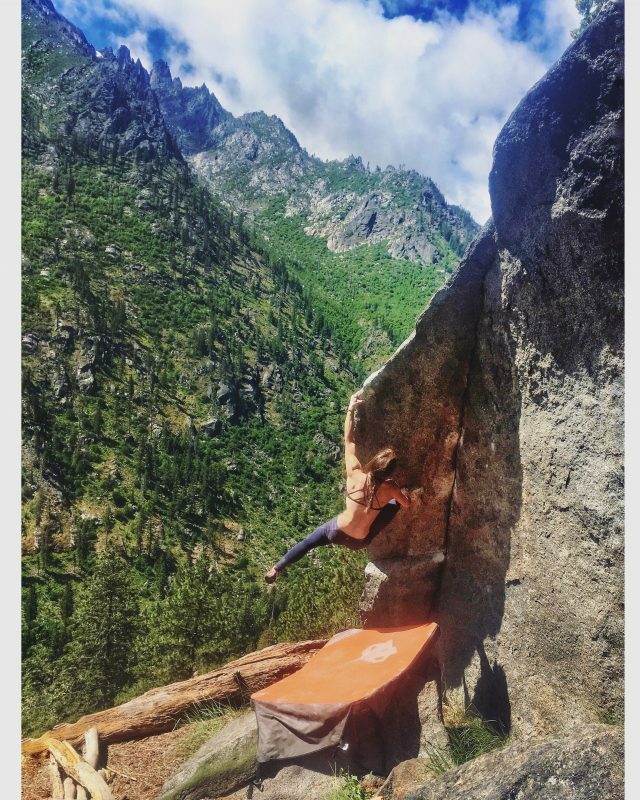 I remember, as a new rock climber myself, being a bit starstruck and trying to play it cool as she complimented my sandals and poured herself a kombucha. It’s not every day that you get to meet local pro athletes with whom you share values and interests. Fast forward to today. Lisa and I have stayed connected, and now we at Frogsong Farm are pleased to provide her with pure, high end CBD products to support her in her athletic endeavors. 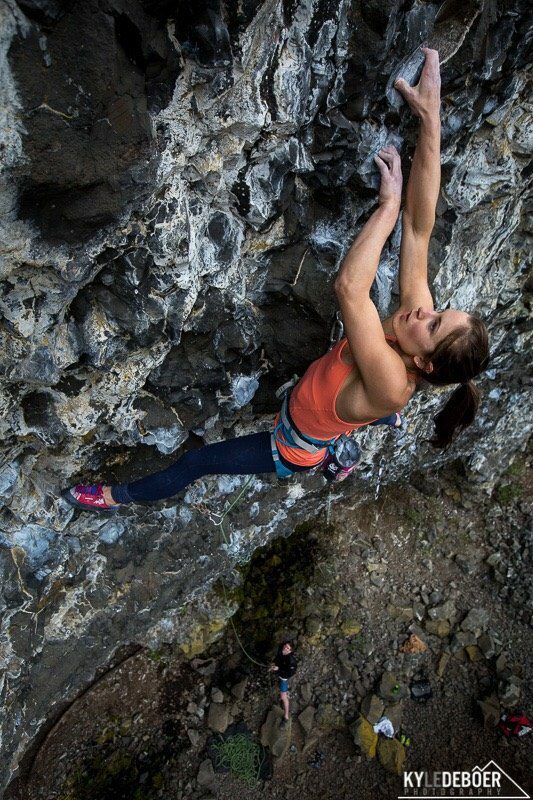 We got together last month before she boarded a plane to Rocklands, South Africa for some climbing. Check out her website to follow along with her adventures. “I can’t remember not being able to do a handstand. Or the first time I climbed a tree. Growing up playing in the woods and competing as a gymnast, I have always been curious and driven to accomplish new skills. When the gym closed in my hometown, I still craved the movement of gymnastics, the feats of strength/balance, and, chalk. So, I transitioned into rock climbing and volleyball, both of which brought me to national level competitions that first year. “As a climber, I use the Rubbit salve on my finger joints/tendons after brutal days climbing and finger training to reduce some of the stress there without sending anti-inflammatory signals to my entire body. I also used it daily on my recent mcl tear to help reduce pain at night and inflammation. Beginning 4 days after the injury, I was very thankful to have access to the salve. The tincture is calming after high stress events and balancing after hours of flights and travel. Thanks, lovely Lisa for partnering with Frogsgong Farm and helping educate folks in the climbing community on the benefits of CBD. Belay on! Ready to try out CBD for yourself? We ship our oils and topicals to all fifty states for FREE! Order now using Lisa’s code, CLIMB10 to save 10% during the month of June! This entry was posted in Education, People, Products and tagged beach volleyball, bouldering, cbd, cbd and climbing, cbd and inflammation, cbd for athletes, cbd for competitive athletes, cbd for travel, cbd inflammation, cbd joints, CBD oil, cbd pain relief, cbd rock climbing, cbd topicals, Does CBD Work, frogsong farm, girls who climb, Lisa Chulich, Oregon native, outdoor rock climbing, portland boulder rally, portland rock climbers, rock climber Lisa Chulich, rock climbing, surfing, trail running, USA climbing team, USA team rock climbers. I¦ve learn some just right stuff here. Definitely worth bookmarking for revisiting. I surprise how a lot effort you place to make the sort of magnificent informative web site.